I love making nostalgic recipes whenever I have a holiday party to go to. 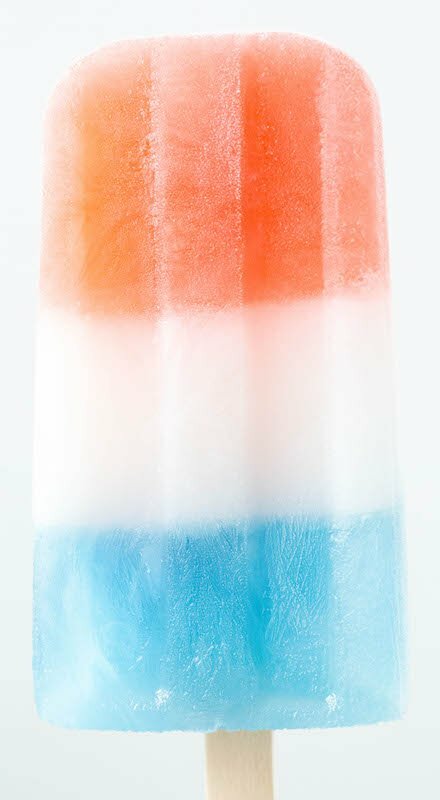 With the inevitable July 4th parties coming, I decided to give making a homemade Bomb Pop a try. 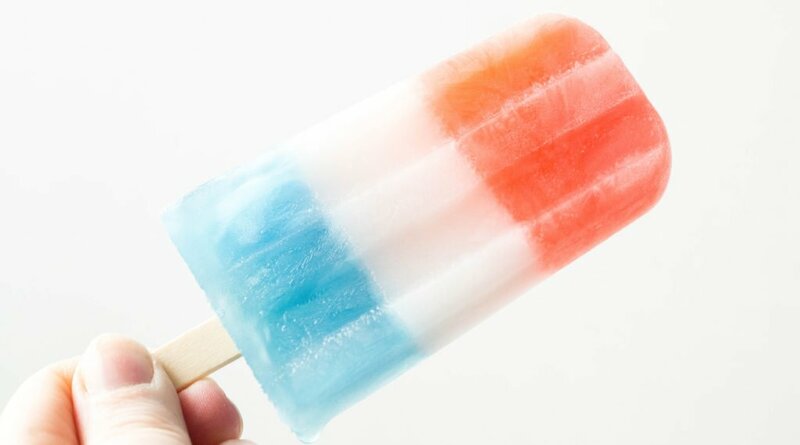 If your childhood wasn’t filled with these sugary freedom treats, you were deprived! Don’t worry though, I ate enough for myself, you, and at least 10 other children. They even sold them in my elementary school cafeteria! I bought one on many hot Florida afternoons for a mere 25 cents. Ah, the good ol’ days. I wanted to keep the flavors of my homemade bomb pop true to the original. Cherry, lime, and blue raspberry. No exceptions! To create this trio of flavors, I used maraschino cherry syrup, lime extract, and raspberry extract. I used this popsicle mold, but you can use anything, including Dixie cups! This recipe was sooo easy and I can’t wait to share them with my friends! I’m thinking next time I might try to infuse them with alcohol…? Place water and sugar in a saucepan over medium-high heat. Stir until sugar has completely dissolved. Set aside and let cool. Combine sugar water and cherry syrup. Fill up each popsicle mold 1/3 of the way. (If you are using the same popsicle mold as me, I recommend using these to measure out .75 oz). Freeze for at least 2 hours. Mix together sugar water, coconut milk, and lime extract. Fill up each popsicle mold 1/3 of the way. Now you want to place on the aluminum cover and add the popsicle sticks. Freeze for at least 2 hours. Mix together the sugar water, raspberry extract, and blue food coloring. Remove the aluminum cover and fill up each popsicle mold the last 1/3 of the way (careful not to overfill!). Freeze for at least 2 hours. To remove the popsicles from the mold, run the mold under warm water for about 10 seconds. Serve immediately or wrap extras in parchment paper and store in an airtight container in the freezer.